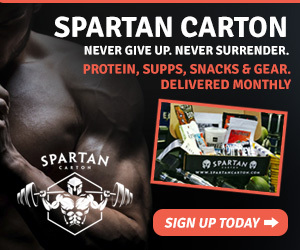 SpartanCarton, LLC, will send a monthly shipment of protein bars, pre-workout supplements, energy bars, healthy snacks, etc. And it’s a surprise each month! They have partnered with the biggest (and some small) companies in the workout products industry and will supply the latest, trending products.